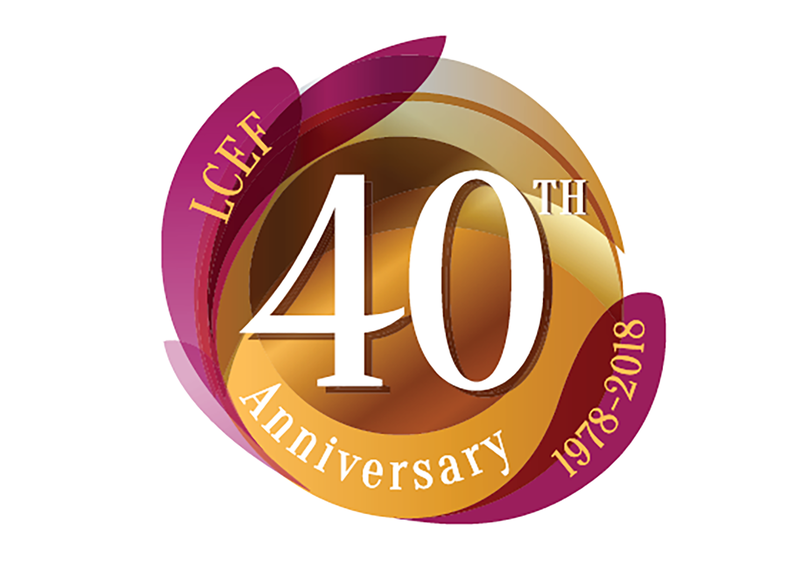 June 15, 2018, marks the 40th anniversary of Lutheran Church Extension Fund (LCEF) as the official financial partner of The Lutheran Church–Missouri Synod (LCMS). However, the idea of church extension goes back even further. We are blessed to be part of this rich and extraordinary journey–one that began in 1902 with a humble donation by a handful of congregations to help a church build a school. From there it blossomed into a strong and ample investment asset portfolio. This allows us to support LCMS congregations, offices, individuals, Recognized Service Organizations, schools, universities and seminaries today and far into the future. To God be all the glory! For it is by His generous and loving hand that LCEF has grown and flourished over the years. So, in celebration of our 40th anniversary, we would like to take you on a little journey through the history of church extension. 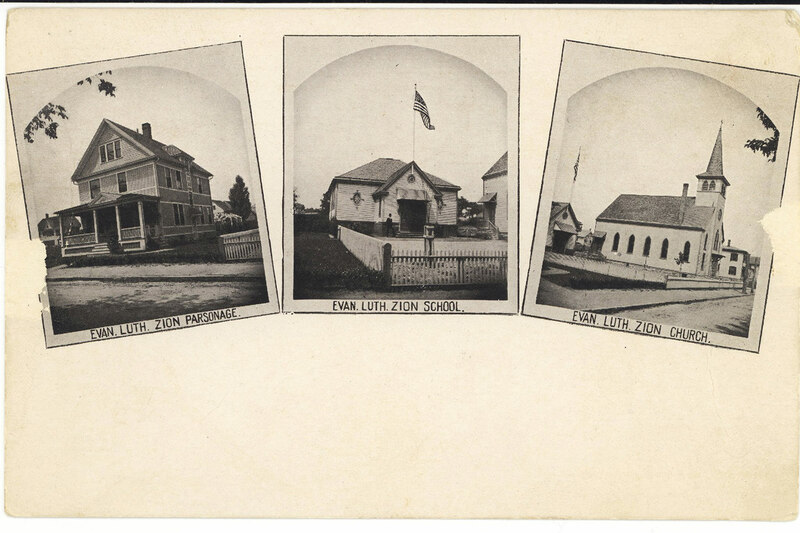 Zion Lutheran Church, Bridgeport, Conn., in 1902. 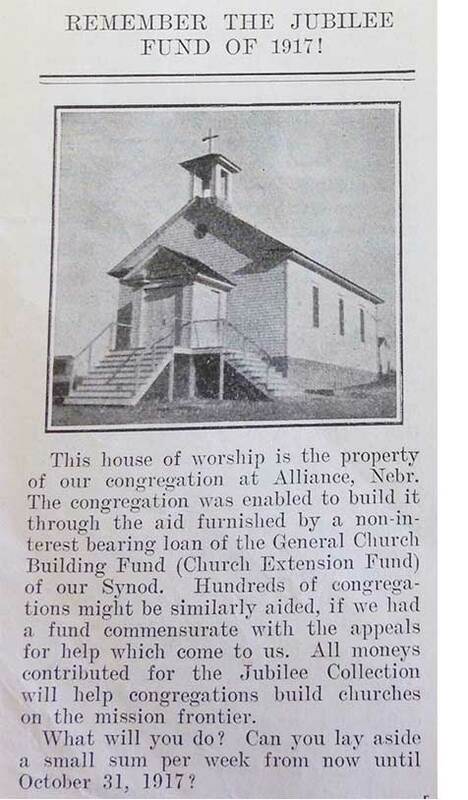 The church extension concept begins in 1902 when Lutheran Church—Missouri Synod congregations pool $400 to help Zion Lutheran Church in Bridgeport, Ct., build a school. A newspaper article encourages LCMS members to contribute to the Jubilee Collection. As the church extension ministry grows, The Lutheran Church—Missouri Synod takes over the collection, allocation and repayment of funds for church and school buildings. Over $40,000 (equivalent to $965,728 in 2017) is collected in 1911 during the Dr. Walter Jubilee offering. Over $350,000 (equivalent to $7,284,586 in 2017) is collected during the Reformation Quadricentennial offering in 1917. The roughly $300,000 (equivalent to $3,979,648 in 2017) left over in the Army/Navy budget is contributed after World War I. Otherwise, the church extension fund (CEF) is a part of the Synod’s budget. Since the fund was not operating with borrowed money, the CEF did not charge interest on loans made to congregations. The opening paragraph to an early church extension brochure. Since the LCMS church extension fund (CEF) is small in assets, loans are limited to new congregations only. The Synod assigns Dr. Steufert, executive for Missions of the Synod, to manage the fund. However, with his focus on the expansion of the North and South American mission fields and growth of the Lutheran church in England and other European fields, the LCMS CEF is often overlooked. 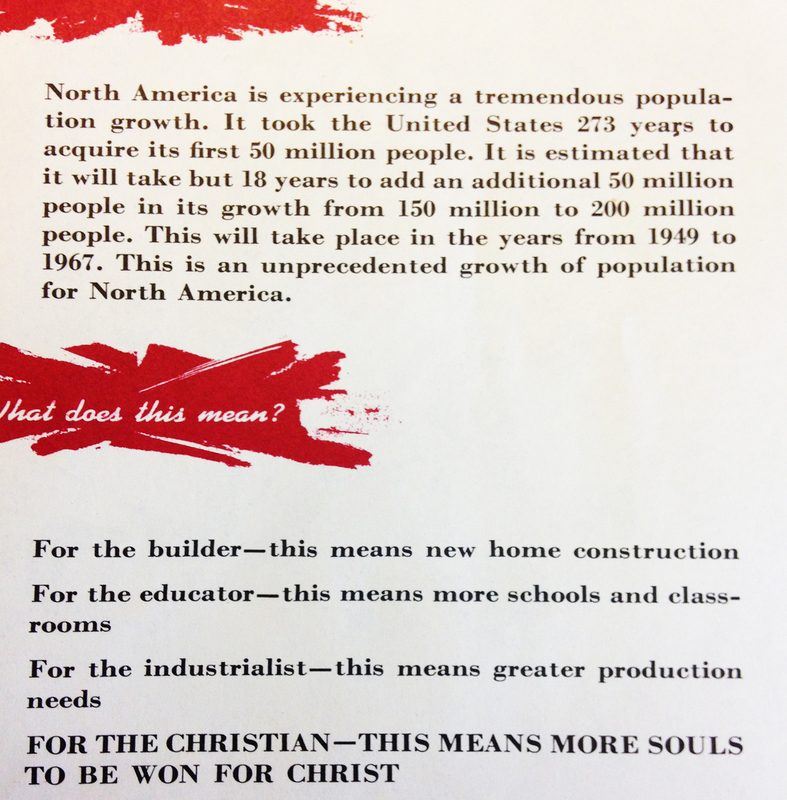 A church extension brochure from the 1940s stressing the opportunity Lutherans have during the North American population boom. Prior to the 1950s, most contributions to the fund carried either no or a low (1%) investment yield. As living conditions and standards began to rise for most Americans, there was a shift in opinion on favorable return on investment. 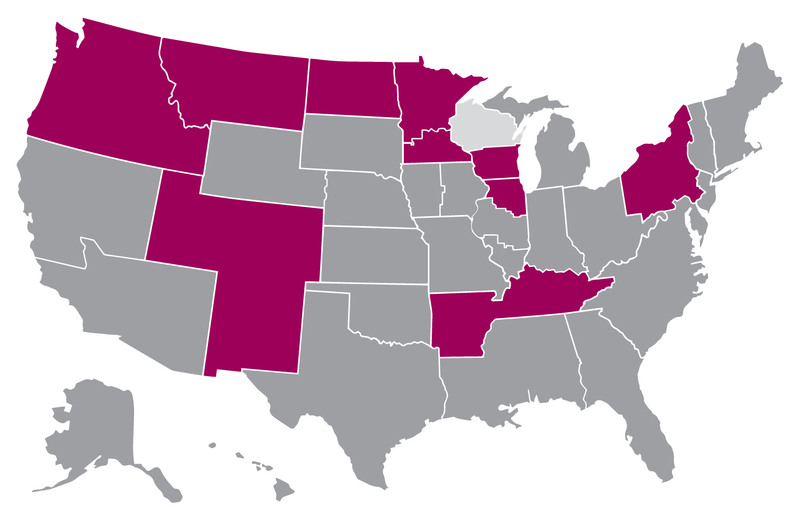 In addition, 75% of LCMS members lived in six Midwestern states. After World War II, people became more mobile. The LCMS went from a church body concentrated in the Midwest to one spread across the nation. To adapt to these new circumstances, the Synod plans to open 1,350 new mission starts in 10 years. This triggers a sharp increase in loan demand. New and smaller districts don’t have the funds to support the growing demand. On one occasion, the CEF had about $30,000 in loan requests, with only $12,000 to loan. The North American mission expansion was placed in jeopardy because of insufficient loan funds in Synod’s CEF. For the first 50 years of the CEF, everyone thought only in terms of the contributed dollar (money voluntarily given without any expectation that it will be returned). Very little attention is given to the wisdom and worth of the invested dollar (money given with the expectation that it will be returned with interest). But with 100 mission starts opening each year, it was necessary for the Synod to revisit its position on the invested dollar. Unlike the contributed dollar, the invested dollar could be lent, and upon repayment by the borrower, available for use again and again. Moreover, people making investments are usually interested, informed, committed and involved church members. After further consideration, the LCMS Board of Directors is supportive of the invested dollar approach. 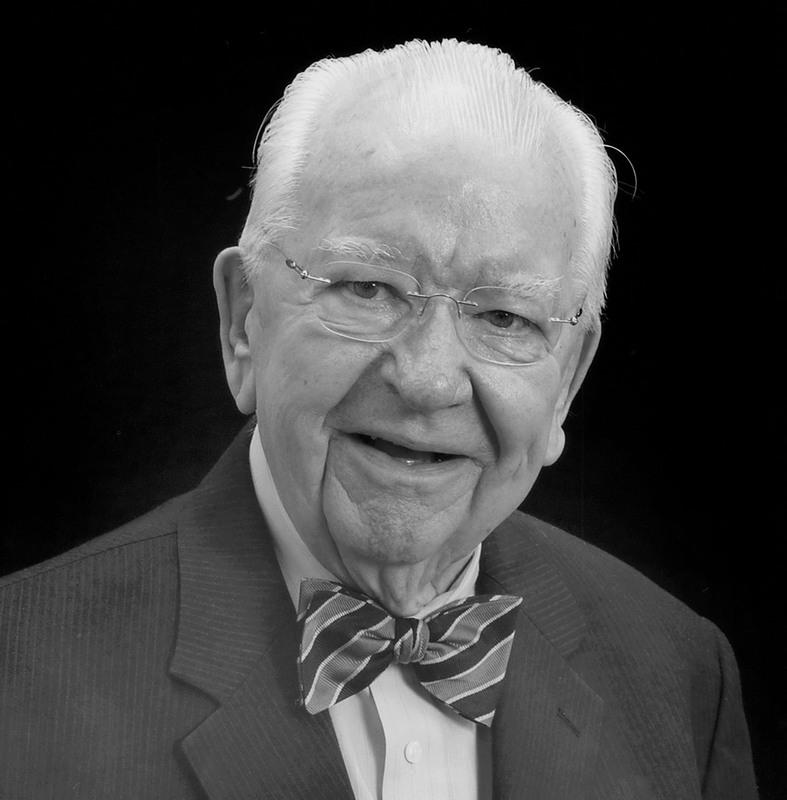 Fred E. Lietz was one of the first board members for the Synod's church extension fund. 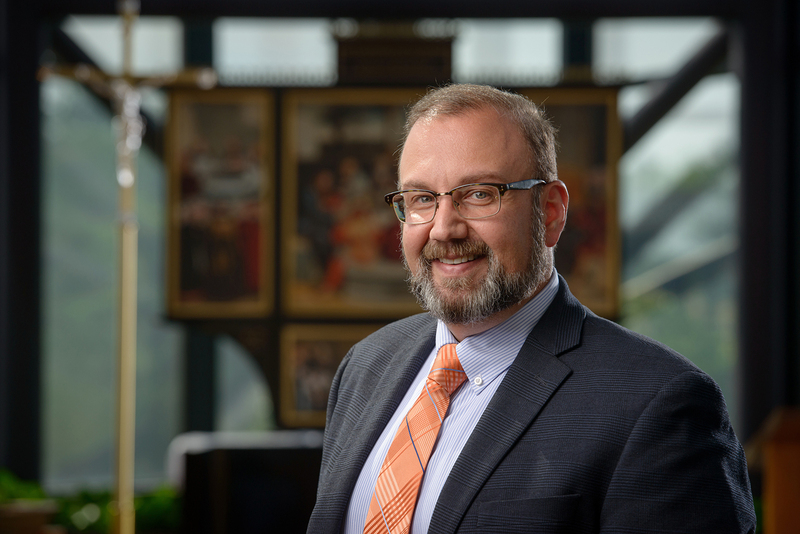 To accommodate the growing attention the CEF deserves, Dr. Andrew Zeile, then president of the Michigan District, recommends the Synod elect an all-Michigan District CEF board. Michigan, Zeile maintains, represented a district CEF with assets in excess of $7 million, three times the size of the Synod’s. The size and success of the Michigan CEF program is evidence that the Synod must allow individuals to invest in order to meet the growing demand for loans. Likewise, Michigan representatives could use their experience to help the Synod CEF. Synod is convinced. Six members are elected to the new CEF board, including a teacher from Saginaw, Mich., Fred E. Lietz. Ads in the Lutheran Witness and Lutheran Laymen educated LCMS members about the growth potential that could come from investing in the church extension fund. Results of the ads are impressive. The results demonstrate a clear demand among Lutherans for CEF notes, as well as the financial resources necessary to invest. The other lesson learned is that a one-shot promotional effort is not enough. A well-planned, systematic campaign is essential to growing the fund significantly to meet the rising loan demand of the LCMS. This meant looking for the right full-time staff person. Fred Lietz with wife Vera (second from the left) and their three daughters: Sue, Gene and June. After a long search, the CEF board concludes that if a full-time church-worker is to manage the CEF, someone serving on the current CEF board is the best candidate. This candidate would be most informed of the fund’s operation and needs. The CEF board nominates Fred E. Lietz. The Synod approves the appointment but recommends Lietz take a year’s leave of absence from his responsibilities as a teacher and principal, and then return to the classroom. The CEF board politely objects. The board looks upon the CEF as a growing and ongoing program that needs full-time dedication to promote investments. A full-time administrator is necessary. On further consideration, the Synod agrees. Lietz accepts the offer. 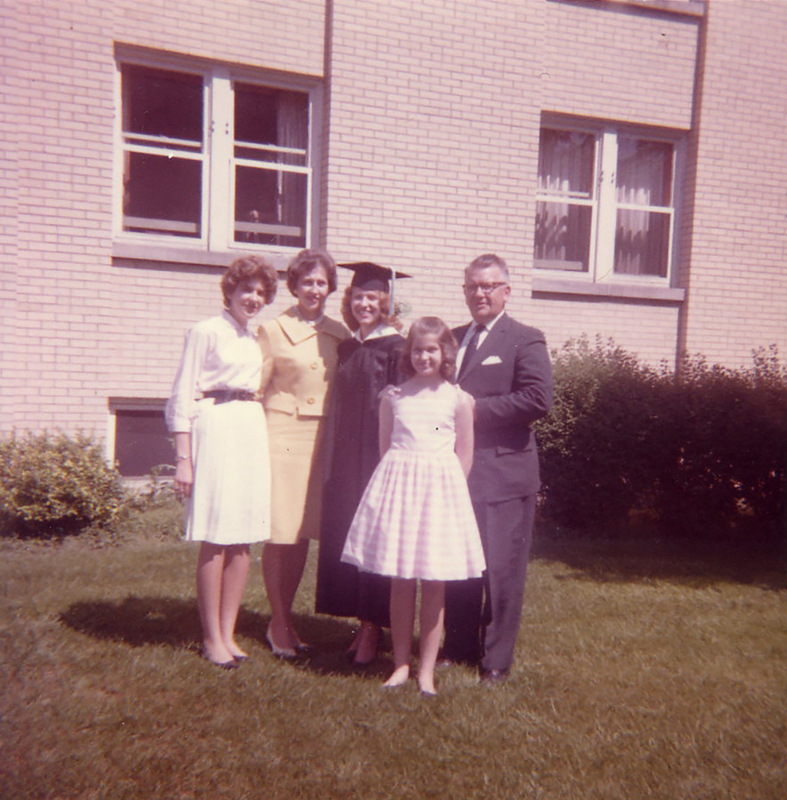 On a hot July day in 1957, he moves his wife Vera and their three daughters-Gene, Sue and June-to St. Louis to serve as the first full-time executive secretary for Synod Church Extension Fund. Along with the promotion of the invested dollar concept and building rapport with district CEFs, Lietz faces a new objective. The rising cost of land hinders the expansion of the Church through new mission starts. Thus, the Advance Site Program launches. The program identifies locations for potential new mission starts within each district, and then purchases the land relatively cheap. Areas in Colorado, Arizona, California, Washington and Florida are targeted. As time passes, some locations become irrelevant due to shifting populations. These tracts are sold off. Other tracts are sold at original cost to become new mission starts or the site for a school relocation. The excess acres from these tracts are sold at the higher appreciation value, significantly growing the fund balance. 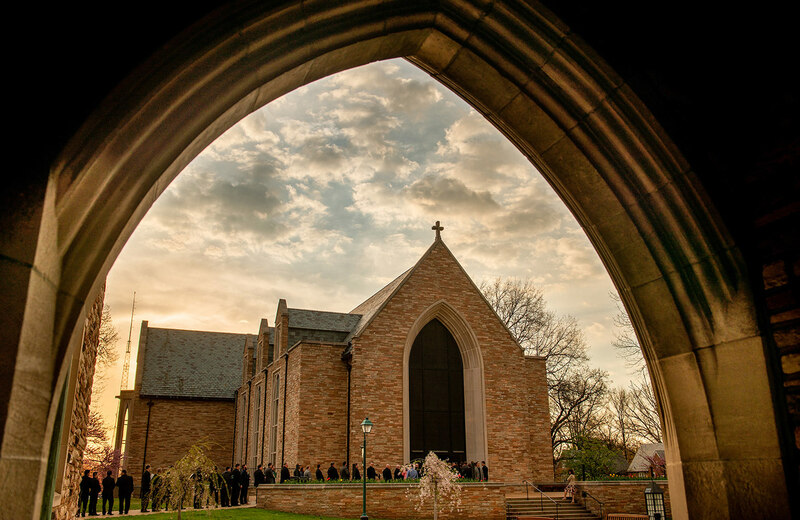 Concordia Seminary-St. Louis. Photo courtesy of The Lutheran Church—Missouri Synod/ Erick M. Lunsford. LCMS districts, associations, colleges and seminaries invest with CEF. Investments are viewed as dollars that will help the cause of mission and expansion. On the 125th anniversary of the LCMS, Synod CEF issues century and a quarter bonds. Each bond is sold for $125. Thousands are purchased, making funds available for loans to new mission starts, both in the U.S. and abroad. 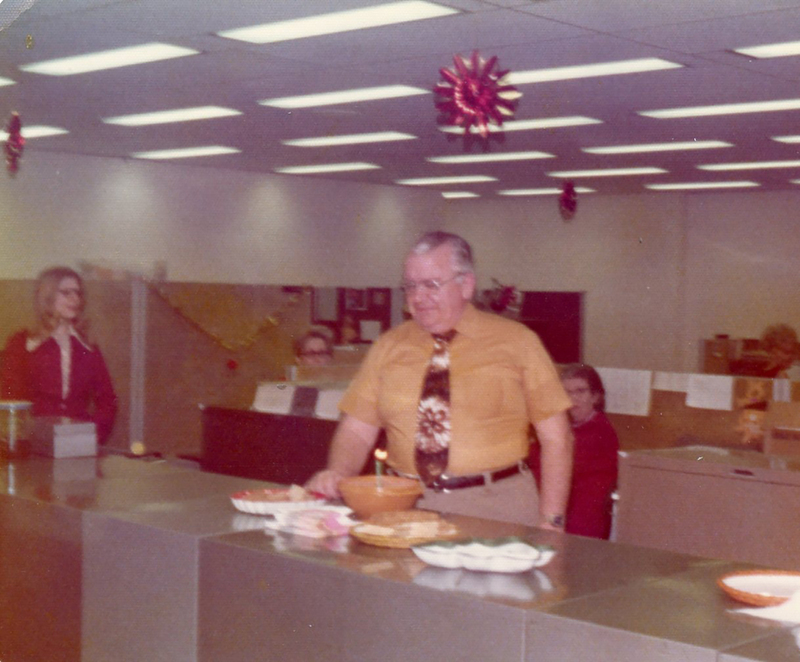 Lietz celebrates his birthday with church extension employees. Note: Prior to this year, Fred E. Lietz’ personal account is the only historical documentation on the record about LCEF. From this point, however, we have a living record of the history of LCEF. The Synod creates a formal CEF department where Lietz serves as executive director. Art Haake, former assistant director of mission for the Texas District, comes aboard and serves as Lietz’s assistant. Haake focuses on the promotion of the CEF and building rapport with the districts. Ruth Bodenstad becomes the secretary. 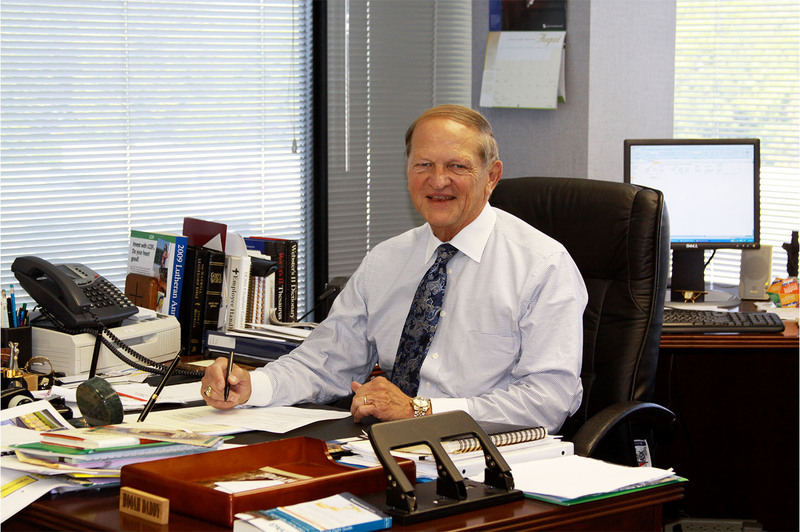 Roy Schneider serves as the supervisor of office of the Synod comptroller, where investments and loans are processed. In response to poor management of bonds issued by television evangelists, state and federal regulators begin to review the blue-sky laws (meant to protect investors against securities fraud). Before this, nonprofits and charitable institutions were exempt from security regulations. In anticipation of the changes, the CEF takes the initiative and begins using offering circulars to adequately disclose all aspects of their investment programs. They go one step further and register all investment instruments in each state. With these steps, the CEF inches towards becoming a separate entity from the Synod. The church extension fund board before LCEF incorporation, 1977. 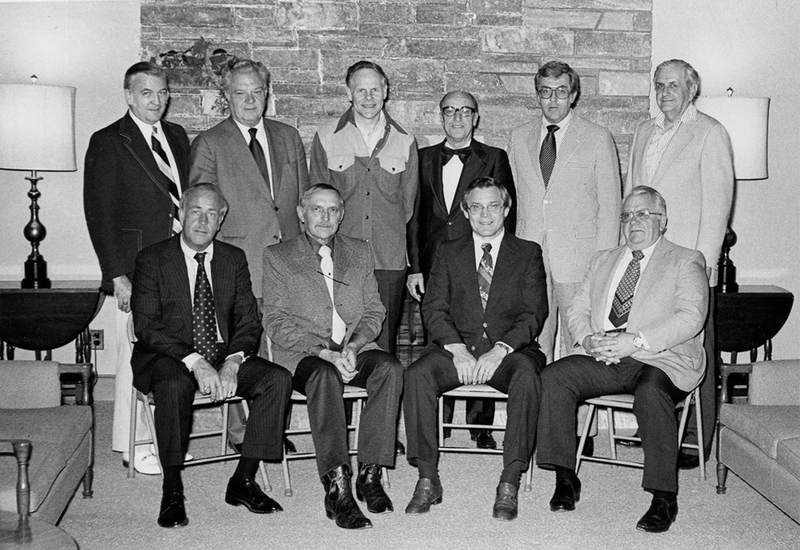 Art Haake, LCEF's second president, is seated on the far left. It wasn’t long before the CEF and the Synod board recognize the wisdom of incorporating the church extension program. The next step is to get the concept, and the proposed constitution and bylaws of a separate CEF entity, approved by the Synod. This happens at the 1977 LCMS national convention. When the committee submits the resolution to the floor, only one question for more information is asked. The convention unanimously adopts the resolution. 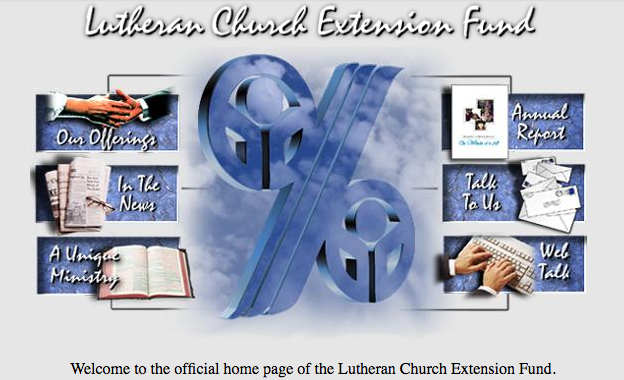 Lutheran Church Extension Fund (LCEF) is born! Lietz is elected as the organization’s first president. LCEF holds just over $100 million in total assets and the opportunity to expand its services and blessings to more and more of its members, congregations, agencies and sister churches in the foreign field. Art Haake at the Lutheran Church Extension Fund office. Lietz, after serving in church extension positions for 22 years, retires to Florida and becomes director of Administration and Finance for the LCMS Florida-Georgia District. Art Haake succeeds Lietz as LCEF president. At the time, LCEF is the only denominational lending and investment fund that meets requirements of all 50 state securities agencies. 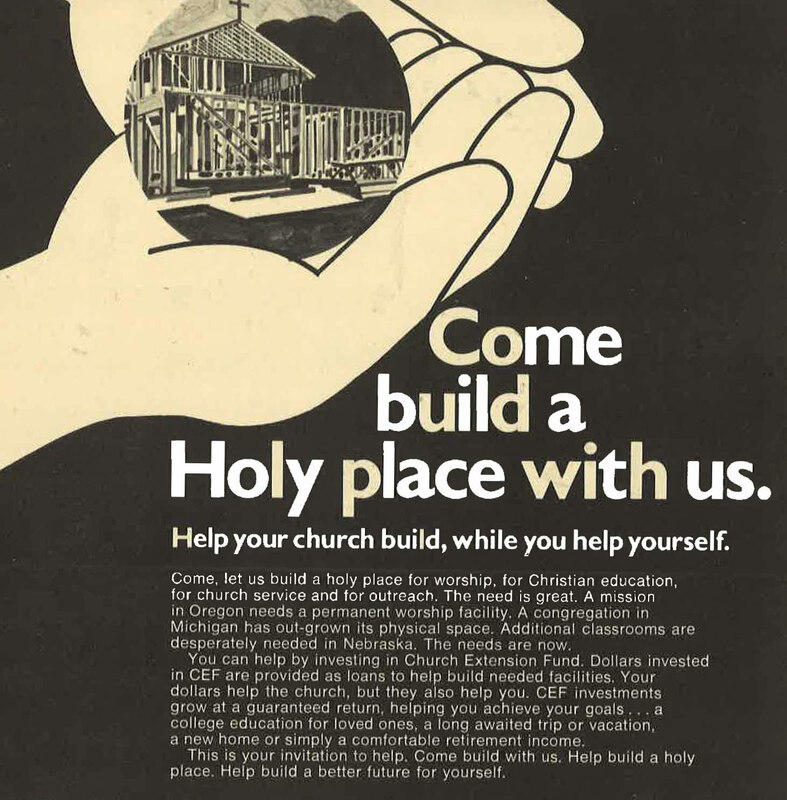 As of 1979, it has helped some 85 percent of all LCMS congregations with site or facilities financing for churches or schools. Haake dreams of doubling the number of investments from 50,000 to 100,000 and growing the dollars by 10% so LCEF is in a position to meet all the capital needs of the Church. One of the key forces for growth during this time was the number of districts that joined. North Wisconsin becomes the first district church extension fund to join LCEF. 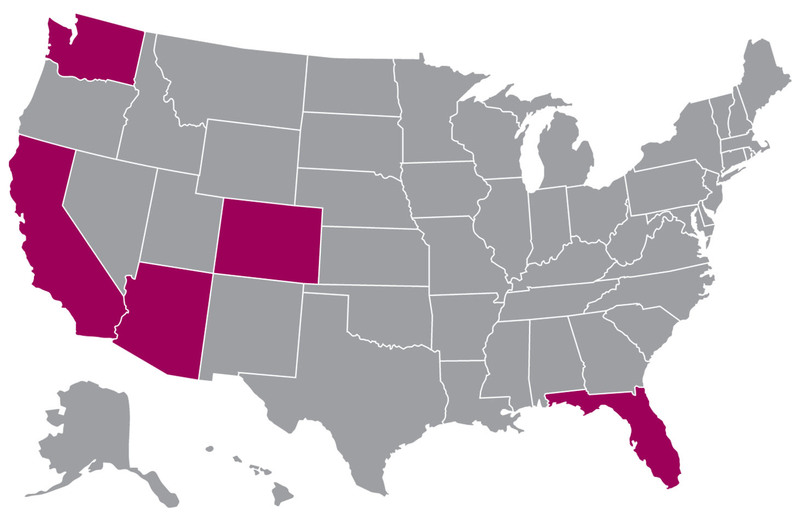 In January 1981, the Nebraska and Florida-Georgia district church extension funds join. 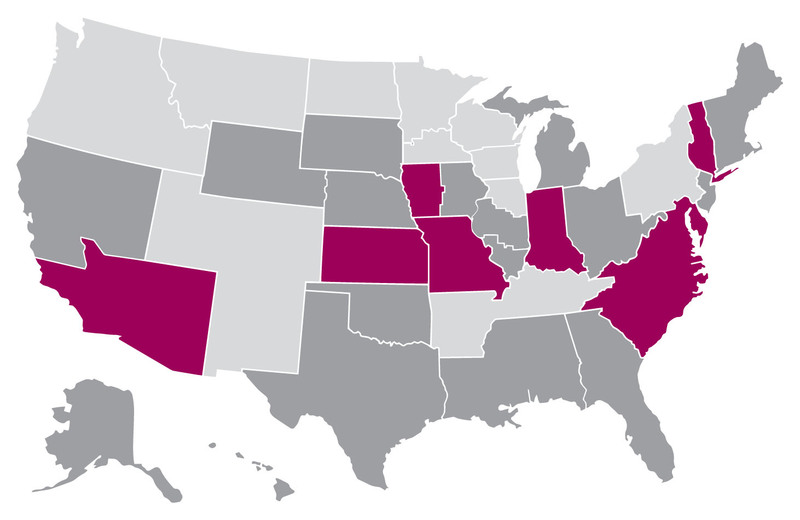 Oklahoma, Wyoming, New England, New Jersey and Southern Illinois join before the end of the year. The 800 number is opened. This is nationwide and allows for more customers to call. Customer service averages 7-8 calls a day. Also, during this time LCEF decided to offer loans to self-supporting churches. These were not mission starts, but churches that needed to meet the needs of their growing congregation, and they were coming back to LCEF for a loan because banks didn’t consider churches good candidates for a loan. There was just one problem: loan needs from self-supporting congregations far exceeded available dollars. LCEF begins offering Individual Retirement Accounts (IRA) as another option for investors. 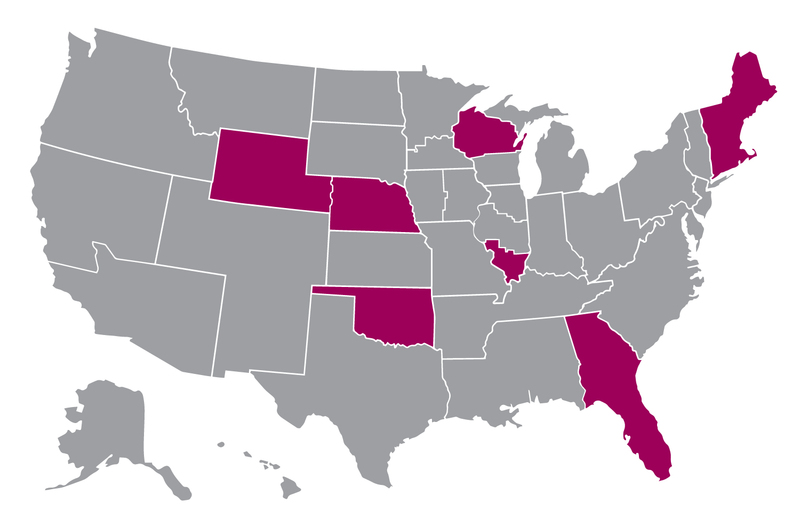 Four district CEFs join: English (non-geographic), Mid-South, Minnesota North and North Dakota. All district church extension programs must prepare an offering circular. Rocky Mountain District CEF joins. The Minnesota South and Eastern Districts join LCEF in 1986. Foundation statements developed, such as church extension is a ministry; recognize the importance of the invested dollar; promotion of the fund must be at the district level and provide capital financing for all entities of the Synod. The Montana District CEF joins June 30, 1987. On February 1st, 1989 the Northern Illinois District CEF joins. In a 10-year span, 19 district church extension funds join LCEF. This adds $128,974,837 in combined assets, a blessing that ensures the organization has the funds available for the Church when needed. LCEF staff members seated in front of the LCMS International Center in St. Louis, Mo. LCEF now manages $500 million in assets. The Jump Start and Soft Cost Loan Programs launch for congregations, including lines of credit and operating loans for districts, colleges, seminaries, other entities of the Synod and the Synod itself. LCEF offers housing and consolidation loans for rostered church workers (RCW). LCEF receives an A investment grade rating from Fitch Investor Services, Inc. The 1990s also saw a number of services added to LCEF like the Architectural Advisory Committee, Congregation Consulting Services, Real Estate Services, Demographic Studies, Capital Funding Services and Special Funding. Screenshot of LCEF's first website home page. 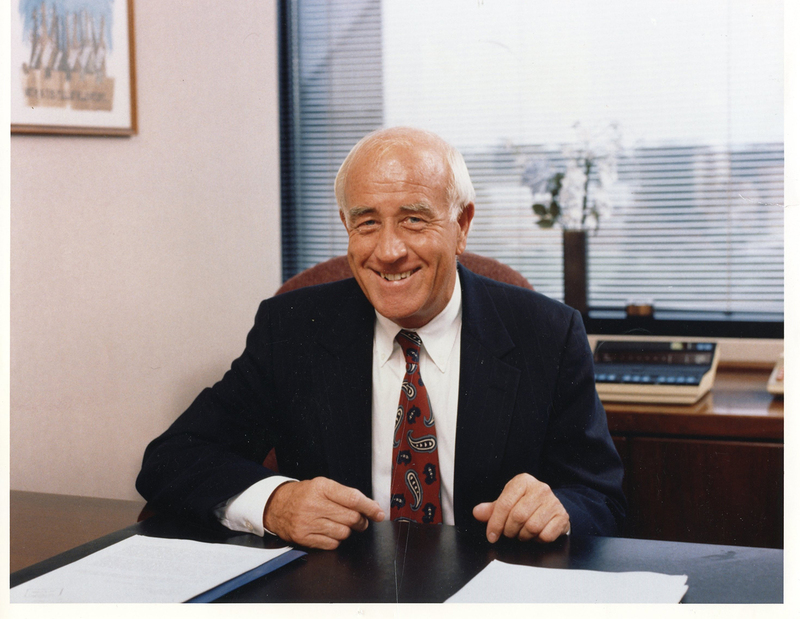 On December 15, 1997, LCEF President and CEO Art Haake suddenly passes away. Vic Bryant serves as interim president until Merle Freitag, a retired three-star Army general, assumes duties on August 20, 1998. That’s $500 million in less than a decade. A third of those assets come from new district CEF entries. 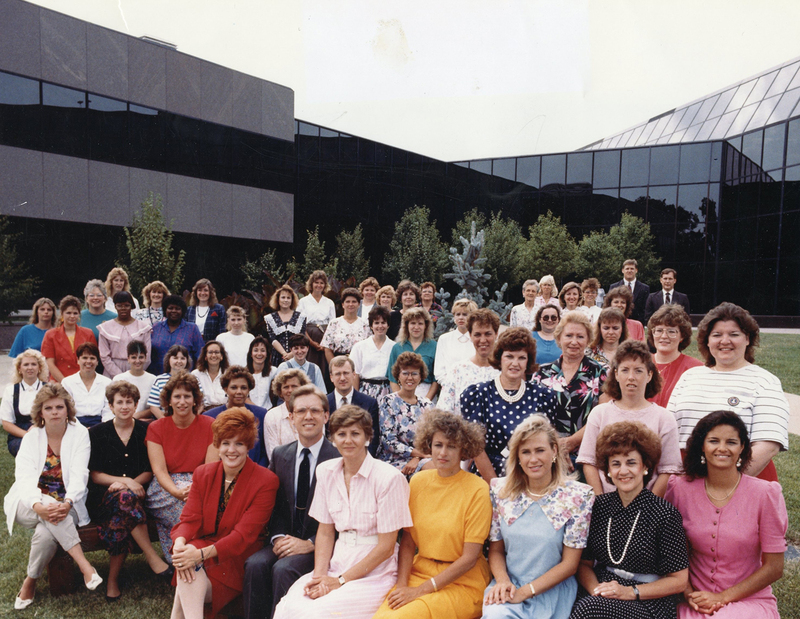 During the 1990s, eight more district CEFs join. Indiana, Northwest, SELC(non-geographic), Missouri, Atlantic, Kansas, Southeastern and Iowa West added $181,171,309 in combined assets. Along with these new assets comes a variety of creative and innovative opportunities for supporting the Church’s Gospel work. Gerald Wendt, Norm Sell, Vic Bryant, Ernie Wentzel and Paul Bramstedt are guests of honor at LCEF's 25th anniversary celebration. 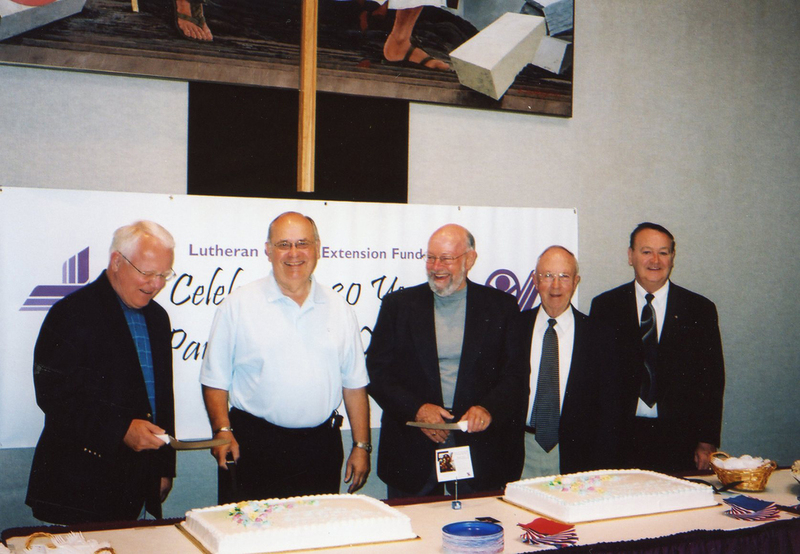 On June 15, 2003, LCEF celebrates 25 years of service to the LCMS. Over that time, LCEF grew from a little over $100 million in assets to $1.3 billion. LCEF feels a strong burden to make sure those funds are used in the most helpful way possible. Laborers For Christ team members at a congregation construction site. 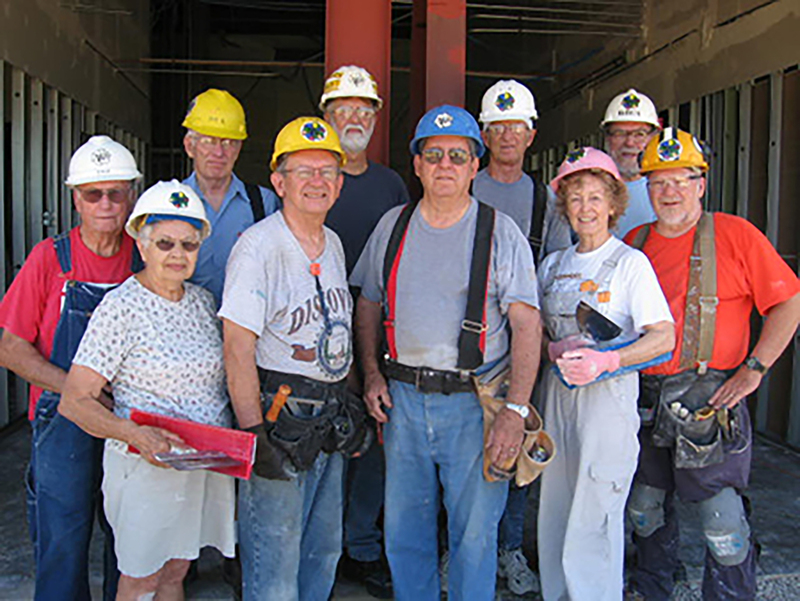 Laborers For Christ, an LCMS ministry service that provides low-cost expert construction knowledge and experience to LCMS congregations, joins LCEF. This program ensures quality work, affordable costs and Christian hearts. China was host to the first LCMS Concordia International School in Southeast Asia. Schools in Hong Kong and Vietnam soon followed. Iowa East, holding $17,312,455 in assets, joins LCEF on June 30, 2004. LCEF is blessed with record earnings and distributes $2.9 million to LCMS partners. The Synod receives $300,000, while the remaining 28-member districts receive an average of $89,000. New investment products are added like Health Savings Accounts and the Family Emergency StewardAccount®. After the 2008 real estate collapse, congregational lending comes to a standstill. 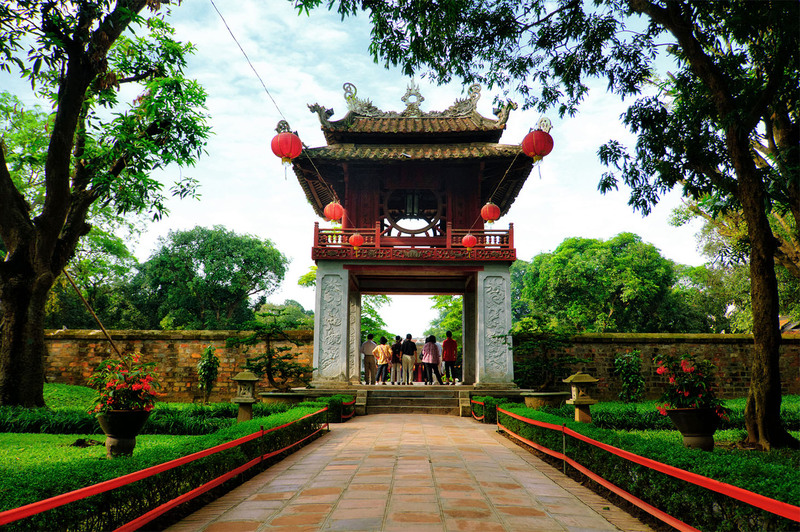 Lending opportunities emerge in China, Vietnam, Korea and South America, as well as among the Concordia University Systems and Recognized Service Organizations. The loan process timeframe from approval to closing is cut dramatically. In an effort to engage the next generation, LCEF joins Facebook. Corporate profiles on Twitter, Instagram and Snapchat follow in 2012, 2015 and 2017, respectively. Merle Freitag pictured behind his desk at the LCEF offices in St. Louis, Mo. Merle Freitag, after 11 years of service, retires on January 15. We are very thankful for the gifts he shared in our mission to support LCMS churches, schools and rostered church workers in fulfilling their mission of sharing the Gospel of Jesus Christ. 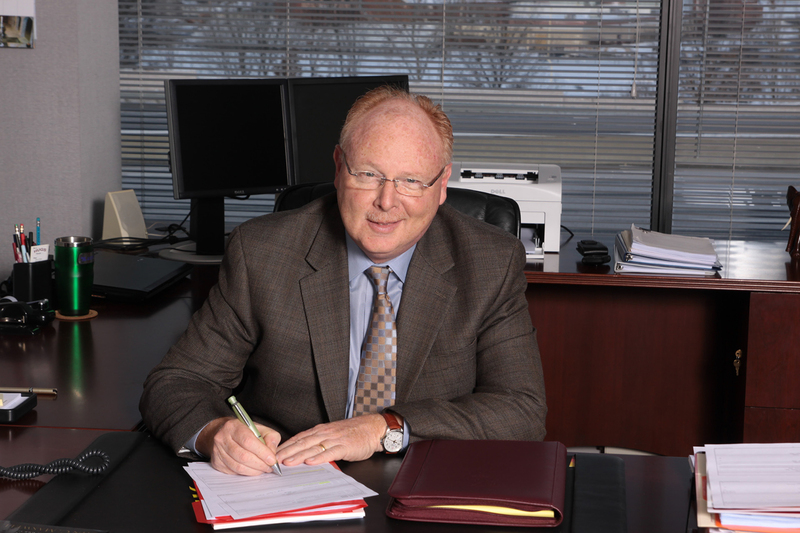 Rich Robertson pictured at his desk at the LCEF offices in St. Louis, Mo. Rich Robertson, former senior executive of a large consumer packaged goods corporation, is installed as LCEF’s fifth president and CEO. LCEF launches the Loan Resolution Group (LRG) to address LCEF’s impaired and delinquent loans. In less than seven years, the LRG lowers the percentage of impaired loans compared to total portfolio from 11% to 7%. In that same timeframe, loan delinquencies drop from 3.9% of total portfolio to 0.68%. This effort sustains and revives LCMS ministries that were facing financial challenges. The Y.I. 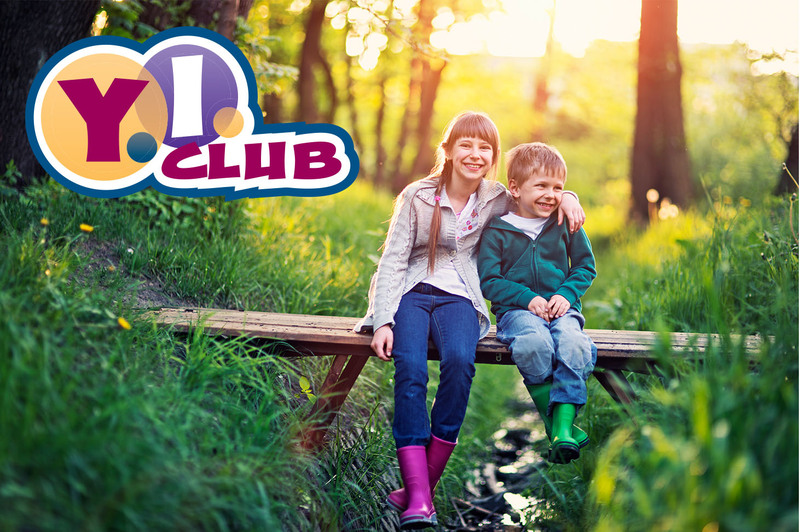 Club, an investment available to students up to age 18, helps others experience God's love by supporting LCMS ministries that share the Gospel. LCEF starts the Young Investors (Y.I.) Club in 2013. In less than five years, the program grows to nearly 14,000 investors, with 95.3% being new investors. Approximately $8.7 million is invested. While these investments benefit the next generation, they also make it possible for more LCMS ministries to love and care for their surrounding communities in the name of Christ. Over this three-year period, LCEF launches three new investment products. ConnectPLUS, PartnerPLUS and a 35-month note attract $147.9 million. This new money is put to work furthering the Church’s mission, launching new ministries and expanding existing ones. LCEF establishes a granting program called the Kaleidoscope Fund. Over 22 ministries in two years received grants, totaling over $1.2 million. The St. Louis Post-Dispatch honors LCEF as one of the Top Small Employers (50 to 149 employees) in the area. 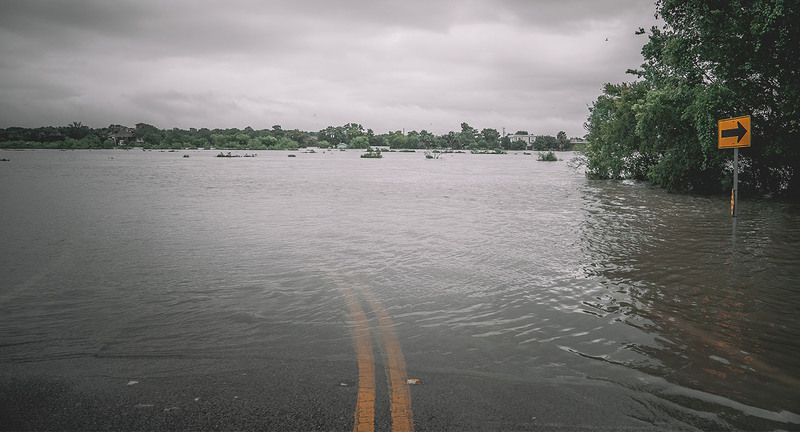 A road submerged by water in southern Texas after Hurricane Harvey devastated the Gulf Coast. After Hurricane Harvey caused historic flooding in Texas and Louisiana and Irma left a path of destruction across the Caribbean and Florida, the Kaleidoscope Fund grants $250,000 to the LCMS Disaster Response ministry. After serving LCEF for eight years, Robertson retires. His personal commitment to the work of the Church and his experience and professional background was an excellent blend that served LCEF for many years. Rev. Bart Day is pictured at the LCMS International Center chapel in St. Louis, Mo. Rev. Bart Day, former executive director of the LCMS Office of National Mission, is installed as LCEF’s next president and CEO during divine service at the LCMS chapel. The Lord has blessed LCEF in the last 40 years, growing the fund to 60,000 investors, $1.84 billion in total assets and a loan portfolio of $1.51 billion. 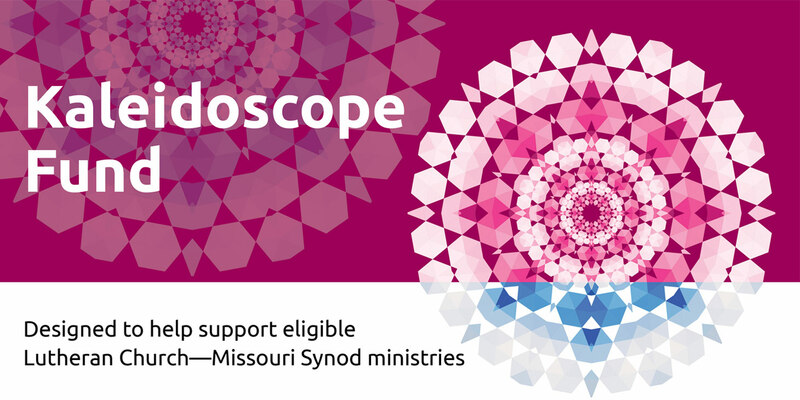 This strong and stable financial base means the important role LCEF plays in supporting The Lutheran Church-Missouri Synod will continue long into the future. God willing, LCEF intends to be around for another 40 years and longer, supporting the Church in her bold work. And because our investors want to support bold and loving work, we will continue to develop new and creative opportunities. Furthermore, we will love our borrowers by customizing loans to fit their ministry needs so they can continue to reach out with the compassionate mercy of Jesus. And remember that 800 number that opened up in 1980? Forty years ago, seven to eight calls a day was a busy day. These days, six full-time information representatives field approximately 150 calls a day. “God didn’t just show up, whip up something real nice and then split the scene. No. This boldly loving God stuck around, even when things got ugly. … So, following our Lord, we stick around, too, even when things get ugly. We’re not a one and done organization. We’re here for the long haul.” — Rev. Bart Day, LCEF president and CEO.